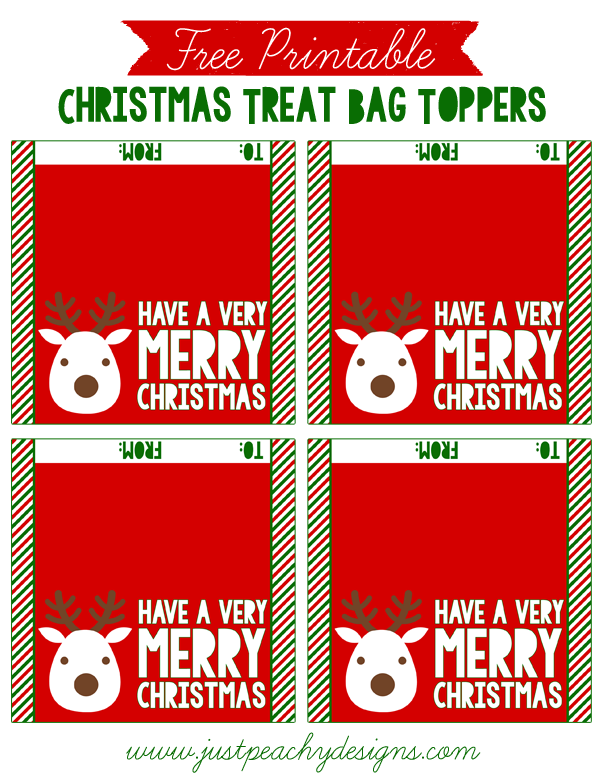 This set of 4 4x4 inch printable Christmas treat bag toppers features an adorable reindeer graphic from Persnickety Prints. Click the image above to download. Once you print them, just cut, fold them in half, then attach to the top of a cellophane goodie bag. Enjoy!